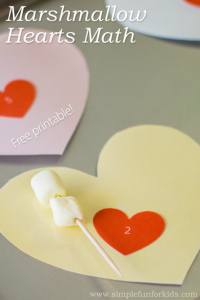 I love making printables for all kinds of seasons and themes! 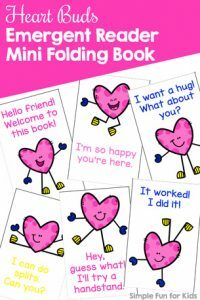 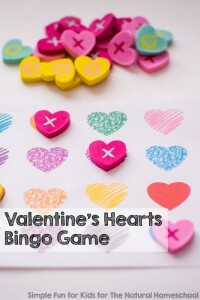 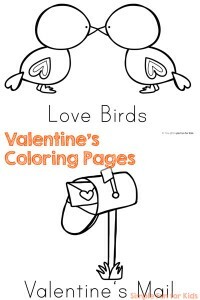 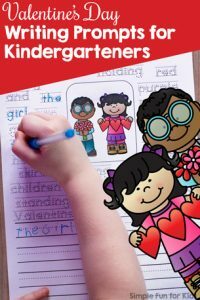 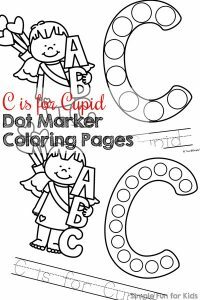 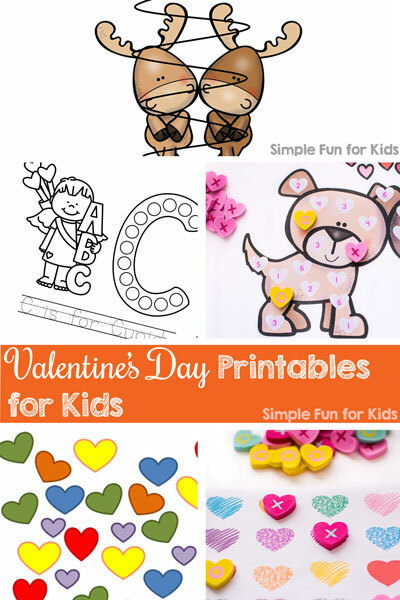 Valentine’s Day Printables for Kids are always fun because they feature such cute, uplifting images, and they’re great for practicing all kinds of skills or just for having fun with them. 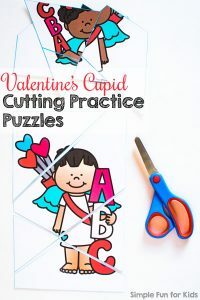 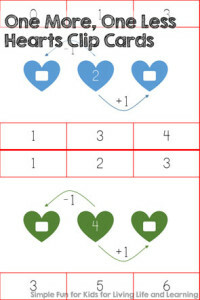 And printable Valentine’s cards are an awesome way to quickly and easily proclaim your affection for someone – not only because you pretty much “have to”, like in a class setting, but because you want to! 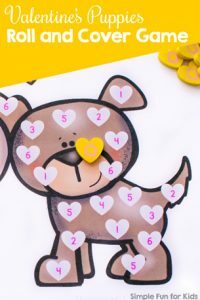 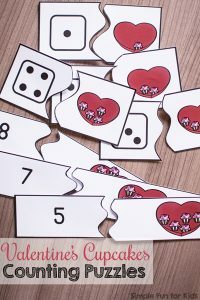 My favorite Valentine’s printable so far is the Valentine’s Puppies Roll and Cover Game. 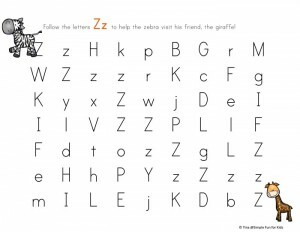 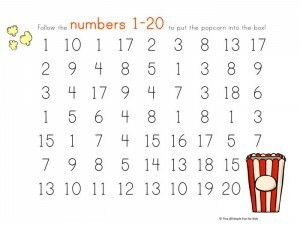 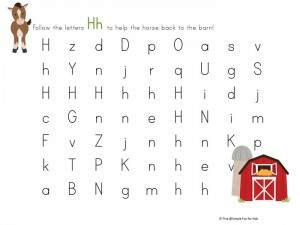 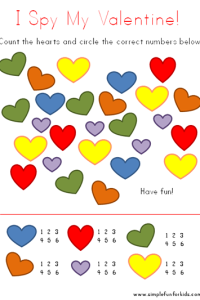 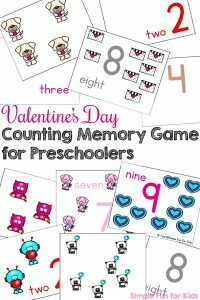 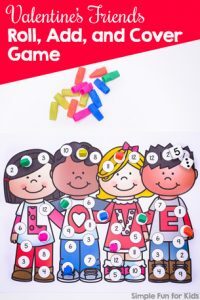 So so cute, and a fun way to practice counting or subitizing and number recognition. 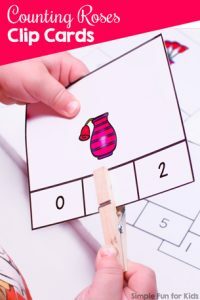 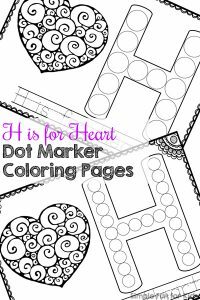 This is a great post to pin or bookmark because I’ll be adding links to new printables as I make them. 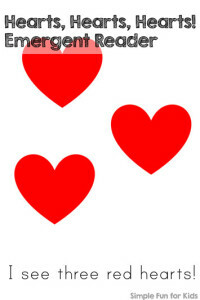 Or sign up for my weekly newsletter and never miss any post I write again.